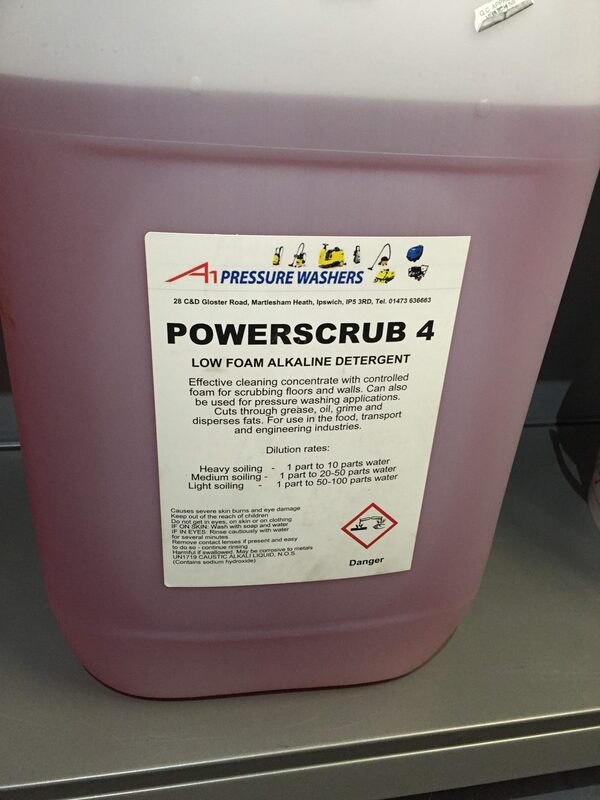 25 Litres of Powerscrub 4. Low foam alkaline detergent. Due to specific handling and/or storage requirements for hazardous materials, we’re unable to deliver products to addresses outside of mainland UK or a postcode that includes an island. Sorry for any inconvenience. Effective cleaning concentrate with controlled foam for scrubbing floors and walls. Can also be used for pressure washing applications. Cuts through grease, oil, grime and disperses fats. For use in the food, transport and engineering industries.